I'll be completely honest and start by saying that I haven't actually used this product, but bare with me and I'll explain why. One of the main reasons why I haven't given it a try is because I'm not really sure how I would go about using it. First of all I'll tell you a little bit about the product. Lush have recently launched a range of sun protection products and Lush Meadowhall kindly sent me the Sesame suntan lotion* to try out. This contains Walnut leaf infusion and Cocoa butter to condition the skin and Aloe vera to keep you cool and obviously soothe. This was made with fresh ingredients in June 2014 and it has a use by date of August 2015, so you have 14 months to use this product (although I often use Lush products past their date as long as the smell and feel of the product hasn't changed). This product is also suitable for vegans. I've never actually come into contact with any toasted sesame seeds, but this smells exactly how I would expect them to smell and to be honest it's not really a smell that I'm keen on personally. It's also quite strong, as many Lush scents are, in fact it's only in the last few years that I've actually been able to go into Lush stores because of the strong smell from the products. I'll talk about this a bit more in a minute but this product takes quite a while to be fully absorbed and until it has absorbed you can still smell the sesame seed scent quite strongly. Now this product has an SPF of 10 which is very low (it does state this on the bottle) so this isn't something that I would consider using on holiday as I'm pale and burn easily and would only use a minimum of 30 at least in a hotter climate. So this means this is something that I would only use in the UK, but I wouldn't use it for sunbathing in the garden unless I was only staying out for a very short period of time. If I'm using a sun protection product for something like walking round town I'll only use something that absorbs very quickly and doesn't leave any kind of greasy or oily residue behind as I don't like this coming into contact with my clothes. 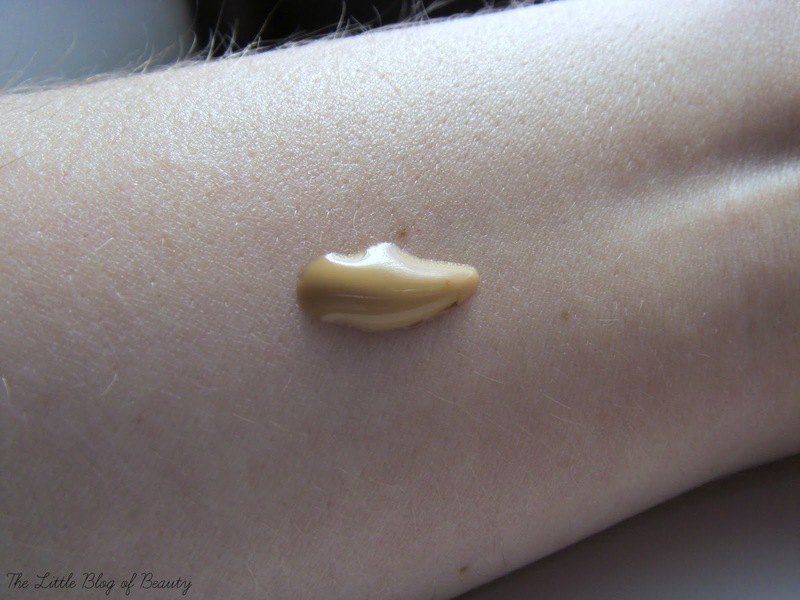 Although I haven't actually tried this out properly I did pop some on the back of my hand to see what it's like and I found that it took an awful long time to be absorbed and until it was fully absorbed it left a slightly greasy kind of sheen to the skin. So I don't think I would use this for light protection for something like shopping either. Because of the Cocoa butter and Aloe vera this can also be used as an aftersun lotion and I think this is the only thing that I would actually use this product for. As I said I'm not keen on the smell, but this does disappear once the product has been absorbed, so I could live with this if it does make a good aftersun lotion. Would I actually buy this myself though? No I wouldn't, especially as this is £8 for 100g and £15 for 250g. As you're supposed to apply this generously this wouldn't last very long at all so I think it's quite expensive. Although I am a Lush fan, this particular product isn't for me. 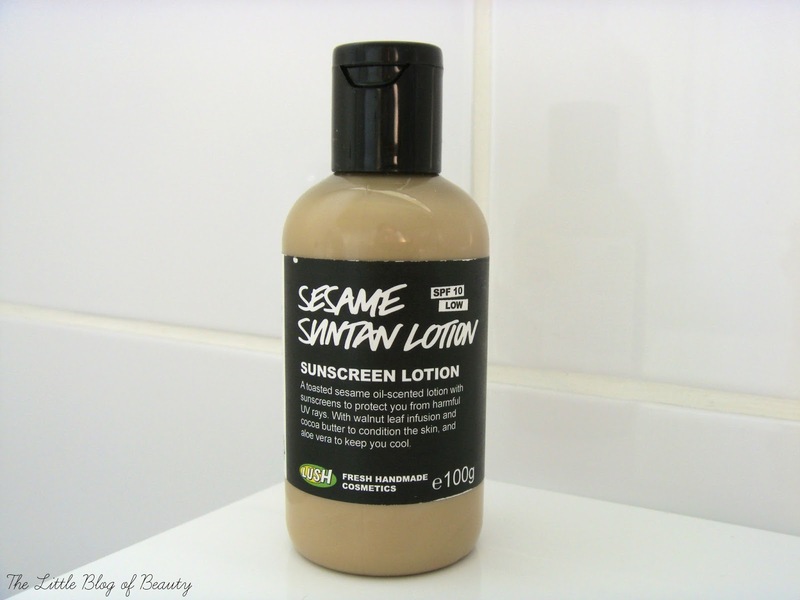 Have you tried the Lush Sesame suntan lotion? I've never tried this, and I agree that Lush can sometimes be a little pricey! Yeah I love Lush and rarely say a bad word about them but when I first saw if was SPF10 my first thought was 'what's the point'?